We love the power of music and song. We love how singing can bring people together, make them smile, cry, and rejoice. Singing is fun. 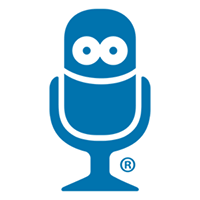 For over 32 years, Singing Machine has been designing innovative beautifully modern products that singing enthusiasts and beginners alike love. We distribute a full line of consumer-oriented karaoke systems, youth electronics, and accessories under The Singing Machine®, SoundX®, Home™, and SMDigital™ brand names. One of the first to provide karaoke systems for home entertainment in the United States, Singing Machine sells its products in North America, Europe, Australia, Central and South America utilizing the latest technologies. We love music and singing. We design home entertainment karaoke systems that reflect that love. 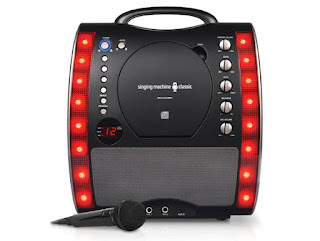 Singing Machine's SML343 Karaoke Machine is the perfect way to sing holiday tunes! With 3 little girls in my house we do a lot of singing so when we received this Singing Machine's SML343 Karaoke Machine we immediately put in the holiday music and my girls started performing. They absolutely love that it comes with a microphone and that they can play their Disney princess CDs and sing along. The LED lights are incredibly fun and make putting on a show easier than ever. Singing Machine's SML343 Karaoke Machine even allows you to connect another microphone for duets and you can even connect it to your TV to scroll the lyrics. I also love the incredible sound the SML343 produces! Singing Machine's SML343 Karaoke Machine would make an amazing gift this holiday season and the perfect addition to any holiday party!